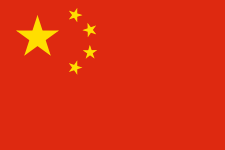 Kaite Lepi of Edudemic has an article out called “15 Ways To Learn Like Students In China.” It’s an interesting list because she doesn’t say these are the things the U.S. should do, just things we could do, if we wanted to use China as our educational model. 1. Cut out recess – I don’t want my kids going to an elementary school where they sit behind a desk the entire day. 2. Abandon intellectual curiosity – Focusing solely on standardized tests will get you good standardized test scores, but at what cost? 3. Train teachers weekly – On paper teachers taking half a day each week to learn to be better teachers is a good idea, but if these trainings are anything like the professional development I’m used to, I can’t envision learning enough to justify the loss of productive time. 1. Respect the teacher – (No surprise a teacher would want a little more respect.) I can’t help but wonder what the current U.S. educational system could accomplish in a culture that respected teaching, learning, and working hard to achieve goals. 2. Don’t separate kids by learning ability – It’s the American way for students with any ability (and/or money) to abandon a “failing” school as soon as possible. What would happen if they stayed and helped others? 3. Learn in Chinese – (Or practically any other language.) I’ve now seen this too many times to ignore it. English is not a good language for working with numbers*. Throw in how much brain power is wasted on spelling impossible words and following inconsistent grammar rules and you’ve got a good reason to switch to Esperanto. *Think about it. We’ve got a base 10 numbering system but we have unique names for the first 12 numbers. Then we start adding a suffix (“teen”) that means “plus ten.” After that we switch to prefixes (“twenty-,” “thirty-,” etc.). No wonder we’re no good at math. I suggest we ditch the teens and say “ten,” “tenty-one,” “tenty-two,” ‘tenty-three,” “tenty-four,” etc. Who’s with me?